Daren's experience in the area of real estate and Central Oregon really came through for me in my home search. She was able to help me find the options available to me in my price range and cut out the homes that she knew were not what I was looking for. This home purchase was for me, the easiest and smoothest home transaction I have done to date. Daren is a great team player and she has a great team! !” – Julie W.
Daren was absolutely outstanding in finding, negotiating and helping me through the housing purchase process. She was fully invested when I bought 2 houses from her and was there 24/7 for every question or issue that came up. I have not met anyone who has more dedication to making a client extremely satisfied!! !” – Sara G.
As a mortgage lender for the last 30 years, boy do I know real estate agents. I've worked with so many agents... and I know a great agent when I work with one. Daren is a great agent. She is experienced, totally professional, easy and fun to work with. 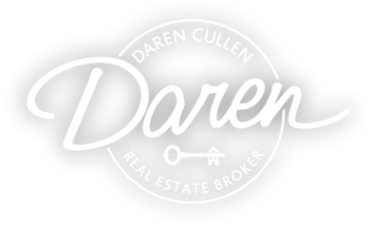 I couldn't recommend Daren more.” – Larry W.
Daren Powell Cullen is a fabulous Real Estate Professional! She recently helped a friend with a very difficult short sale and was able to bring the deal to a close with all parties very satisfied. If you are thinking of selling your home or buying one and want to ensure that your agent has your best interest in mind, give her a call!” – Hollis L.
Daren has helped us with the purchase of two homes in Bend. was instrumental in helping us with the winning bid on our last home because she is very smart and knowledgeable with this market. it weren't for Daren, we would not be the owners of a very special property. would suggest her to anyone and everyone looking for a great real estate agent that will help you get what you want. will not be disappointed with her on your team!” – Susan A.
Daren was readily available for calls/questions during the day/nights and weekends. She has great knowledge of the area and the market in the area and was instrumental in the negotiation process of the sale.” – David B.